I confess I have no criticism of the BHK 250’s sonic performance—only high praise. It is extended and detailed at both frequency extremes and has an immediate, musical, and open sounding midrange (all qualities I love)…. Although the PS Audio BHK Signature 250 stereo amplifier is higher priced than most amplifiers I have used, for an amplifier of this pedigree and obvious premium quality I believe it is quite the bargain at its current $7,499 price tag. In fact, I would seriously consider snapping one up while this price is still available. So I think I will just buy this beastie and be thrilled with it! Very highly recommended! Bascom, Paul, and Arnie’s combined 150 years of audio excellence has led to a design of classic physical beauty and sonic excellence that easily achieves the goal of competing with über-level amplifiers, but at a fraction of the retail price. As audiophiles, we sometimes fall into the ‘price equals performance’ trap. We fear being the emperor with no clothes when our friends ask how much we paid and it was, gasp! LESS than what flagship gear is supposed to cost. Naturally it must not be that good. This amp is that that rare Holy Grail whose sensible price belies its astounding performance. Hand built in America, it may well be your final amplifier purchase. They have truly exceptional imaging, depth, and natural soundstage width, and they really can get the best out of the naturally miked and produced recordings that have a real-world soundstage. The 300s’ dynamics are extraordinary, particularly in the lower octaves that seem to be in even more demand for audio reproduction today than the upper octaves. The fact is, the BHK Signature 300 is a powerful, nimble-sounding amplifier that immediately drew me in with fast, punchy, tight bass; rich, liquid mids; and delicate, transparent highs—all effectively well integrated into a coherent whole. I can't recommend the BHK 250 enough. Like I said I bought this one and it is now here between the speakers with the Claytons off on a rack. I won't sell the Claytons ever and for sure they will eventually find their way back into the system. 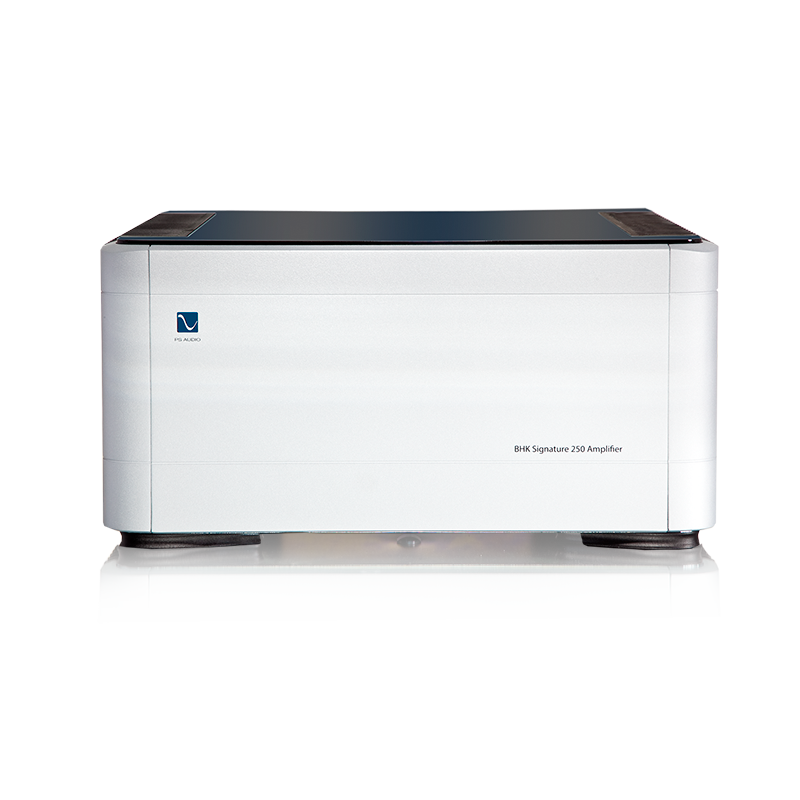 The PS Audio BHK Signature 250 has everything that one would expect from a power amplifier of this category: it’s powerful, fast, accurate, gentle regarding its ability to convey the harmonic complexity of even the most difficult audio tracks and has a great dynamic reserve. Its ability to recreate a coherent and well focused soundstage puts this product among the best power amplifiers regarding this parameter. I could go on for a while extrapolating specific parameters and writing about how well the BHK behaved respect to them, but it would be useless. In my opinion the ultimate reason of the beauty of this poweramp is the ability to translate all these individual elements into a performance that is, at the same time, musically coherent and effective. All this at a cost that must be considered extraordinarily competitive. Yes, it's all things you'd expect from a top flight amplifier: powerful and precise, fast and dynamic, generous in its staging, and close in its focus. But its ability to translate those elements into a musically coherent and consistently compelling performance is what sets the BHK Signature apart from any other power amplifier I've listened to. I sense a classic in the making. Built in BoulderWhen you are unwilling to compromise performance even a little, choose the DirectStream DAC. This precision instrument is unrivaled in sound quality and features. Fully FPGA based and software upgradeable, DirectStream is unmatched for both PCM and DSD digital audio files. 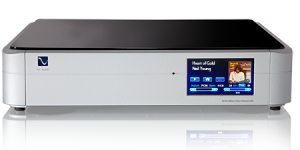 Hear all you've been missing in your music with this Stereophile and TAS acclaimed product of the year.